CARFAX One-Owner. Clean CARFAX. 20/28 City/Highway MPG Coral Sand Metallic 2005 Nissan Maxima 3.5 SL 4D Sedan FWD 5-Speed Automatic 3.5L V6 DOHC 24V The Don Franklin Family of dealerships have proudly been serving the Kentucky area for 50 years. Come see us and we will show you just how easy and stress free the purchase of a quality vehicle can be. We have a strong and committed sales staff with many years of experience satisfying our customers' needs. Feel free to browse our inventory online, request more information about vehicles, set up a test drive or inquire about financing! On behalf of the Franklin Family, we would like to thank you for visiting our website. We offer superior sales and service for our valued customers. We are committed to customer service and satisfaction. Once again, Thanks for visiting our website and feel free to contact us anytime. Even if you dont see the vehicle you are looking for, give us a call and we will find it. Our inventory changes daily so make sure you continue to visit our website daily. 2001 Nissan Xterra SE Green Call us today for your VIP test drive! "We'll treat you like family”. We can help you get financed! The Don Franklin Family of Dealerships have been serving Kentucky since 1968. We have over 23 locations and an inventory of over 4,000 vehicles to choose from, *Lifetime Powertrain Coverage available on most vehicles*. We also offer a Loyalty Program which provides service discounts, gift certificates and discounts at local business. *Although every reasonable effort has been made to ensure the accuracy of the information contained on this site, absolute accuracy cannot be guaranteed. This site, and all information and materials appearing on it, are presented to the user "as is" without warranty of any kind, either express or implied. All vehicles are subject to prior sale. Price does not include applicable tax, title, license, processing and/or documentation fees. 24/32 City/Highway MPG 2012 Nissan FWD Versa 1.8 S Brilliant Silver Metallic See dealer for full details, rules and eligibility. *The advertised price may require financing through select lendors. * The advertised price does not include state sales tax and a dealer documentation fee of 489.00. *Price does not include any dealer installed option. Don Franklin Auto of Somerset Kentucky proudly sells and services all new Chrysler Dodge Jeep Ram Nissan vehicles in the greater Lexington, London, Corbin, Jamestown, Russell Springs, Albany, Monticello and Somerset area as well as all used, pre-owned, and certified! We are your one stop commercial dealer for all your commercial trucks, commercial vans, and cargo van needs! 27/32 City/Highway MPG 2013 Nissan FWD Juke S Sapphire Black See dealer for full details, rules and eligibility. *The advertised price may require financing through select lendors. * The advertised price does not include state sales tax and a dealer documentation fee of 489.00. *Price does not include any dealer installed option. Don Franklin Auto of Somerset Kentucky proudly sells and services all new Chrysler Dodge Jeep Ram Nissan vehicles in the greater Lexington, London, Corbin, Jamestown, Russell Springs, Albany, Monticello and Somerset area as well as all used, pre-owned, and certified! We are your one stop commercial dealer for all your commercial trucks, commercial vans, and cargo van needs! 22/26 City/Highway MPG 2011 Nissan AWD Rogue SV Pearl White See dealer for full details, rules and eligibility. *The advertised price may require financing through select lendors. * The advertised price does not include state sales tax and a dealer documentation fee of 489.00. *Price does not include any dealer installed option. Don Franklin Auto of Somerset Kentucky proudly sells and services all new Chrysler Dodge Jeep Ram Nissan vehicles in the greater Lexington, London, Corbin, Jamestown, Russell Springs, Albany, Monticello and Somerset area as well as all used, pre-owned, and certified! We are your one stop commercial dealer for all your commercial trucks, commercial vans, and cargo van needs! CARFAX One-Owner. 30/39 City/Highway MPG Super Black 2014 Nissan Sentra S 4D Sedan FWD CVT with Xtronic 1.8L 4-Cylinder DOHC 16V The Don Franklin Family of dealerships have proudly been serving the Kentucky area for 50 years. Come see us and we will show you just how easy and stress free the purchase of a quality vehicle can be. We have a strong and committed sales staff with many years of experience satisfying our customers' needs. Feel free to browse our inventory online, request more information about vehicles, set up a test drive or inquire about financing! On behalf of the Franklin Family, we would like to thank you for visiting our website. We offer superior sales and service for our valued customers. We are committed to customer service and satisfaction. Once again, Thanks for visiting our website and feel free to contact us anytime. Even if you dont see the vehicle you are looking for, give us a call and we will find it. Our inventory changes daily so make sure you continue to visit our website daily. Freshly Detailed, Ready for immediate delivery. Clean CARFAX. 31/39 City/Highway MPG Priced below KBB Fair Purchase Price! Gun Metallic 2017 Nissan Versa 1.6 SV FWD CVT with Xtronic 1.6L I4 DOHC 16V Come visit Franklin Family Chevrolet Buick today for a customer experience you'll never forget. We are a premier Chevrolet dealership with all the latest Chevy & Buick models. Our no-pressure internet sales professional will work with you to find the car or truck that best fits your needs - whether you're shopping from home or at our dealership. CARFAX One-Owner. Clean CARFAX. 27/36 City/Highway MPG Odometer is 11836 miles below market average! 2016 Nissan Versa 1.6 S Super Black Call us today for your VIP test drive! "We'll treat you like family”. We can help you get financed! 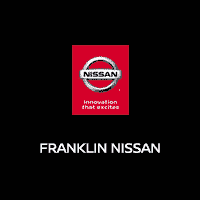 The Don Franklin Family of Dealerships have been serving Kentucky since 1968. We have over 23 locations and an inventory of over 4,000 vehicles to choose from, *Lifetime Powertrain Coverage available on most vehicles*. We also offer a Loyalty Program which provides service discounts, gift certificates and discounts at local business. *Although every reasonable effort has been made to ensure the accuracy of the information contained on this site, absolute accuracy cannot be guaranteed. This site, and all information and materials appearing on it, are presented to the user "as is" without warranty of any kind, either express or implied. All vehicles are subject to prior sale. Price does not include applicable tax, title, license, processing and/or documentation fees. Clean CARFAX. Odometer is 31157 miles below market average! 2015 Nissan Versa 1.6 S White Call us today for your VIP test drive! "We'll treat you like family”. We can help you get financed! The Don Franklin Family of Dealerships have been serving Kentucky since 1968. We have over 23 locations and an inventory of over 4,000 vehicles to choose from, *Lifetime Powertrain Coverage available on most vehicles*. We also offer a Loyalty Program which provides service discounts, gift certificates and discounts at local business. *Although every reasonable effort has been made to ensure the accuracy of the information contained on this site, absolute accuracy cannot be guaranteed. This site, and all information and materials appearing on it, are presented to the user "as is" without warranty of any kind, either express or implied. All vehicles are subject to prior sale. Price does not include applicable tax, title, license, processing and/or documentation fees. 2013 Nissan Sentra SR Super Black Local Trade, Fully serviced, 4D Sedan, 1.8L 4-Cylinder DOHC 16V, CVT with Xtronic, FWD, charcoal Cloth. 30/39 City/Highway MPG The Don Franklin Family of dealerships have proudly been serving the Kentucky area for 48 years. Come see us and we will show you just how easy and stress free the purchase of a quality vehicle can be. We have a strong and committed sales staff with many years of experience satisfying our customers' needs. Feel free to browse our inventory online, request more information about vehicles, set up a test drive or inquire about financing! 30/39 City/Highway MPG 2014 Nissan FWD Sentra SR Red Brick See dealer for full details, rules and eligibility. *The advertised price may require financing through select lendors. * The advertised price does not include state sales tax and a dealer documentation fee of 489.00. *Price does not include any dealer installed option. Don Franklin Auto of Somerset Kentucky proudly sells and services all new Chrysler Dodge Jeep Ram Nissan vehicles in the greater Lexington, London, Corbin, Jamestown, Russell Springs, Albany, Monticello and Somerset area as well as all used, pre-owned, and certified! We are your one stop commercial dealer for all your commercial trucks, commercial vans, and cargo van needs! 27/36 City/Highway MPG Clean CARFAX. Gun Metallic 2018 Nissan Versa 1.6 S FWD 5-Speed Manual 1.6L 4-Cylinder DOHC 16V ASK ABOUT OUR EXCLUSIVE REWARDS PROGRAM WHERE OUR CUSTOMERS CAN EARN REAL $ OFF THEIR NEXT PURCHASE WITH DON FRANKLIN!!! See dealer for full details, rules and eligibility. * The advertised price does not include state sales tax and a dealer documentation fee of 489.00. *Price does not include any dealer installed option. Don Franklin Kia of Somerset Kentucky proudly sells and services all new Kia vehicles in the greater Lexington, London, Corbin, Jamestown, Russell Springs, Albany, Monticello and Somerset area as well as all used, pre-owned, and certified! CARFAX One-Owner. Clean CARFAX. 31/40 City/Highway MPG 2016 Nissan Versa 1.6 SL Blue Metallic Call us today for your VIP test drive! "We'll treat you like family”. We can help you get financed! The Don Franklin Family of Dealerships have been serving Kentucky since 1968. We have over 23 locations and an inventory of over 4,000 vehicles to choose from, *Lifetime Powertrain Coverage available on most vehicles*. We also offer a Loyalty Program which provides service discounts, gift certificates and discounts at local business. *Although every reasonable effort has been made to ensure the accuracy of the information contained on this site, absolute accuracy cannot be guaranteed. This site, and all information and materials appearing on it, are presented to the user "as is" without warranty of any kind, either express or implied. All vehicles are subject to prior sale. Price does not include applicable tax, title, license, processing and/or documentation fees. Clean CARFAX. 30/39 City/Highway MPG Odometer is 40506 miles below market average! Aspen White 2014 Nissan Sentra SR 4D Sedan FWD CVT with Xtronic 1.8L 4-Cylinder DOHC 16V The Don Franklin Family of dealerships have proudly been serving the Kentucky area for 50 years. Come see us and we will show you just how easy and stress free the purchase of a quality vehicle can be. We have a strong and committed sales staff with many years of experience satisfying our customers' needs. Feel free to browse our inventory online, request more information about vehicles, set up a test drive or inquire about financing! On behalf of the Franklin Family, we would like to thank you for visiting our website. We offer superior sales and service for our valued customers. We are committed to customer service and satisfaction. Once again, Thanks for visiting our website and feel free to contact us anytime. Even if you dont see the vehicle you are looking for, give us a call and we will find it. Our inventory changes daily so make sure you continue to visit our website daily. Fully Detailed, Nitrogen Filled tires. Black 2007 Nissan Frontier SE I4 4WD 5-Speed Automatic with Overdrive 4.0L V6 SMPI DOHC Shop online anytime at the Don Franklin family of dealerships. Family owned and operated for over 45 years! We appreciate your business.